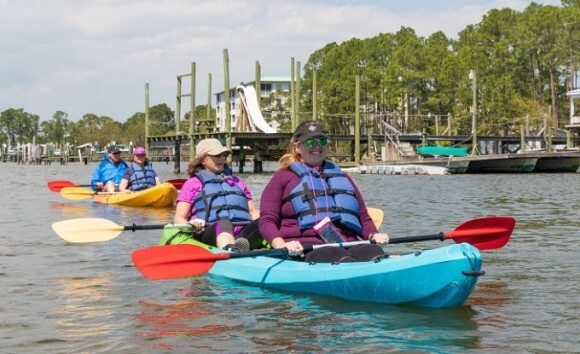 Whether you’re a beginner, intermediate or veteran kayaker, explore the beauty of Alabama’s Gulf Coast on a three-hour guided kayak excursion. While paddling a two-person kayak, you’ll learn about the habitat of the bottlenose dolphin and other area wildlife. Copyright 2019 Gulf Shores & Orange Beach Tourism All rights reserved.